It's easy to blend in and disappear on the streets of Boston. Elle Ward has finally taken control of her own destiny - away from the dark shadow of her family's reputation. Putting her botany and chemistry degree to work, she's the successful owner of her own apothecary. But she lives by a secret identity. Curing innocent Bitten in the basement, she flies under the radar, risking her life, and risking punishment from King Cyrus. But being raised in this world means she can never truly get away from the Houses and their politics. She lives under the rule of the House of Allaway, and Charles is out to avenge the brutal murder of his twin: a sister for a sister. 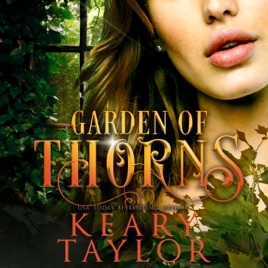 The House of Royals world continues with Garden of Thorns.